Two of the world's leading luxury brands have come together to produce a must-have masterpiece for the discerning traveller. 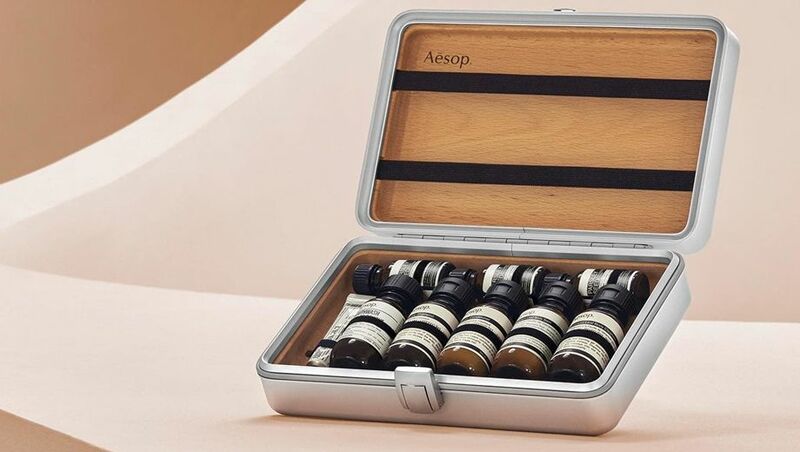 This is the Köln Travel Kit – a full set of miniature Aesop products, cradled within an aluminium Rimowa case – and it's a safe bet this will find its way onto the Christmas wish list of many Australian Business Traveller readers. The selection of nine travel-sized botanical products from the high-end Australian skincare brand is chosen for top-to-toe care, from Aesop's popular Classic Shampoo and Classic Conditioner to Geranium Leaf body cleanser and balm, a trio of Parsley Seed facial products, plus toothpaste and mouthwash. They're packaged in a specially-designed Rimowa aluminium travel case inlaid with a wood enclosure to create what Rimowa Chief Brand Officer Hector Muelas describes as "a perfect example of functional luxury: a tool for purposeful travellers that encapsulates the thoughtfulness and consideration that both our brands apply to the creative process." 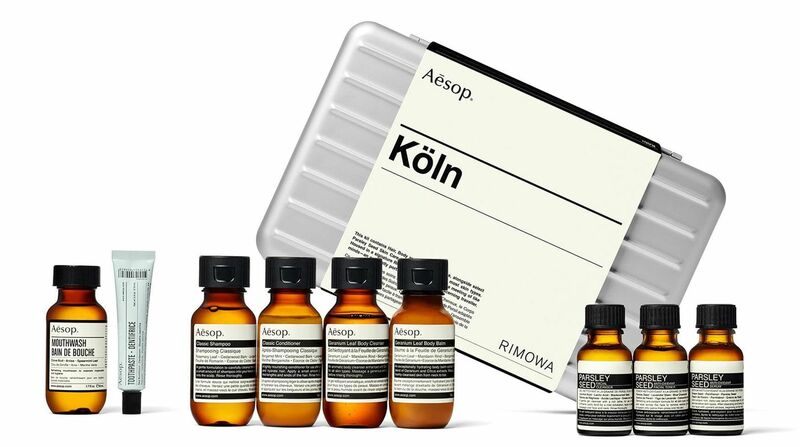 The Aesop-Rimowa Köln Travel Kit is available from October 26 for $540 from Aesop and select retailer partners.